Although just about everyone from fitness professionals to athletes to recreational exercisers talk about core training, most are unaware that the term Core, in reference to the muscles of center of the body, was first coined in 1982 by Bob Gajda (1966 Mr. America) & Richard Dominquez M.D. in their book Total Body Training. As you can see, not only are most unaware of where the term originated, they’re also unaware that your “core” isn’t just your abs and lower back; your core is made up of all of the muscles of your torso, including your glutes, lower back, mid-back, lats, shoulders and chest, along with your abs and obliques. So, although you may not think of doing chest presses and back rows as “core training exercises,” they most certainly are. That said, it’s no secret that one of the staple concepts in strength training is to emphasize compound (multi-joint) exercises, and to supplement those movements with some isolation (single joint) oriented exercises. In other words, if you want to strengthen your lats or glutes, you’ll do a mix of compound exercises that hit those muscle along with other muscles, and sprinkle in isolation exercises that are more targeted on these specific muscles. Interestingly, although this concept is considered a “no-brainer” when we’re looking to enhance core muscles such as the back, chest, and glutes, rarely do we see the principle of using compound movements utilized when it comes to training the abdominals and obliques. In that, many of the most popular and commonly used exercises for strengthening these core muscles are more isolation oriented. In other words, a comprehensive abdominal training routine, like every other muscle group, should emphasize compound exercises and supplement with some isolation moves as well. Since your upper-body pushing exercises are already giving you plenty of work on your pecs and shoulders, and your upper-body pulling exercises are already giving you plenty of work on lats and mid-back musculature. And your lower-body exercises are already giving you plenty of work on your glutes and low back musculature, the focus of this post is on my top 3 compound core training exercises for activation of the abdominals and obliques. Note: I’ve got another upcoming article thoroughly debunking the common myth that you don’t need to do exercises that focus on strengthening your abs and obliques, like the one’s I’m about to share in this post, because squats and deadlifts do the job more effectively. So keep your eyes open for it down the road on T-Nation. The following (in no particular order) are my top three compound core training exercises for the abdominals and obliques that integrate the shoulders and the glutes. Now, some fitness experts might say that these exercises aren’t compound in that you don’t have multiple joints moving during the exercises, each of them require contractions at the shoulders, spine, and hips/pelvis in order to stabilize the body throughout the set. You might want to call these integrated core exercises instead, but this is just semantics. This video covers what I feel are the common mistakes made when performing the cable wood chop, along with demonstrating the specific way this exercise is performed in the Performance U training approach. 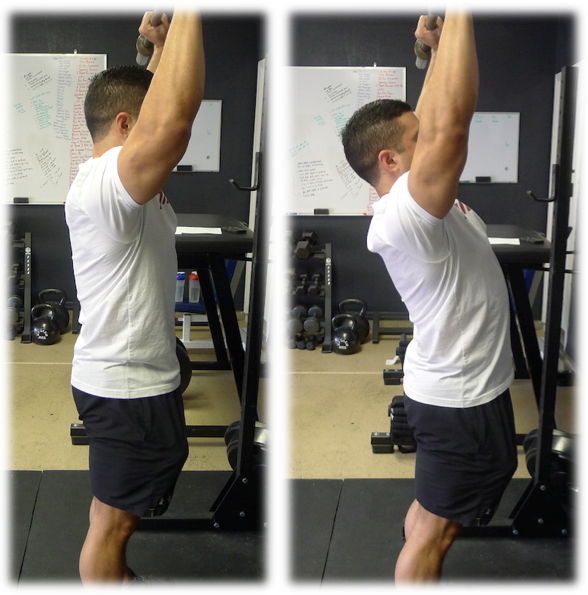 This is a protocol I developed, which combines one-arm planks with the long-level posterior tilt plank. Yes! In the video above, my hips were a bit high during the long-lever posterior tilt plank than I’d coach them to be. I was simply more focused on talking and keeping the above video concise that I didn’t give myself to focus on feeling where I was at. Also, in the video I failed to mention that, on the one-arm planks, I’m looking for a small posterior tilt – slightly less that the posterior tilt plank – and a glute squeeze. This is a more advanced progression to the stability ball roll out. It’s also one of my personal favorite abdominal exercises to do, and has been one of the more popular abdominal training exercises among the more advanced athletes and physique competitors I’ve worked with. Integration core exercises elicit greater muscle activation than isolation exercises. Gottschall JS, Mills J, Hastings B. J Strength Cond Res. 2013 Mar;27(3):590-6. I absolutely agree with this 100%. I fell for that theory of training and it slowed me down. I now do one dynamic ab exercise with as full a range of motion as possible (within reason) adding weight to keep the sets under 20 reps and one plank or iso-hold adding weight to keep the hold to under 30 seconds. I’ve actually made pretty good gains since I made the switch. I think the oblique strength is most responsible for my squat gains. poliquin mentioned supersetting deadlifts with ab work – for lower back vulnerability. I’m really enjoying that.